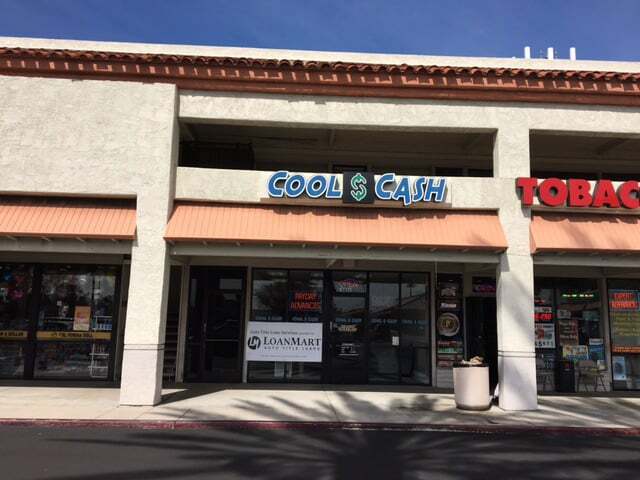 This Cool Cash is in the shopping center at E Chapman Ave and Prospect St.
Foothill Transit’s bus line #185 has a stop across the street from this location at Hacienda Blvd and Maplegrove Ave N. Check their website for more details. This Cool Cash is next to Dragonfly Tea Bar, In-N-Out Burger, and Taco Mesa. Are you a resident of Orange or the surrounding area who’s having trouble taking care of an unforeseen expense? Whether it is a medical bill or just the cost of living, LoanMart may be able to help. If you own a qualifying vehicle with a free-and-clear title, consider applying for an auto title loan in Orange. You may be able to borrow as much as $30,0001 in as quickly as one business day3! LoanMart allows customers to use their vehicle’s title as collateral, but they still retain full use of their vehicle while making consistent on-time monthly payments. It’s completely free to apply. Why not start today? Traditional lenders, such as credit unions or banks, often turn away applicants in need because of a less-than-perfect credit rating. LoanMart won’t define Orange’s residents by their credit. They realize that life happens, and even the most responsible individual might have a flawed credit history. That’s why they we take multiple factors into consideration for auto title loans in Orange. Those factors include your ability to make regular monthly payments on time and your qualifying vehicle’s equity. Here’s a list of what you’ll need to get an auto title loan from LoanMart, you may notice there’s just three points to look at. That’s because LoanMart values your time. Sign that loan agreement and collect your funds as soon as a single business day! Call us now toll free to see if LoanMart is the right financial solution for you, and once you are approved, your LoanMart represenative will talk to you about the Auto Title Loan Process, via LoanMart and Cool Cash!